Blake back on This Morning! Make sure to also watch Humphrey showing off his cooking skills, while the Ollie, Jules and Stephen watch on Market Kitchen! Should Jerusalem be adopted as the National Anthem? Watch now on 4oD player, click here. Ollie Baines remembers singing Jerusalem for the Queen and at the funeral of a close friend, and believes it is a stirring anthem that everyone can get behind. The twice nominated Brit-Award winners BLAKE, perform the UK’s unofficial national anthem, Jerusalem, on BBC 1 for Songs of Praise. Watch BBC1 this Sunday 19 September at 17.25 to see Blake appear on Songs of Praise with Aled Jones. Over the past few years Aled Jones has become one of the most established and popular presenters of Songs of Praise. For more information on Songs of Praise and Aled Jones click here. The atmosphere was electric as you can see from this video. Blake had one of the best nights ever at the 2010 Classical Brits; from arriving on the red carpet on four superbikes to performing Nessun Dorma live on the Albert Hall stage, we had a ball. We would love to congratulate all the winners on their much deserved awards. After it’s airing on ITV1, our live performance of Nessun Dorma will be available as a ‘Live from the Brits’ single on iTunes, so be sure to download your copy. Let’s try to get it into the Top Ten for the World Cup. That’s not all more videos can be viewed here courtesy of OK! Magazine. BLAKE are delighted to announce they are N0. 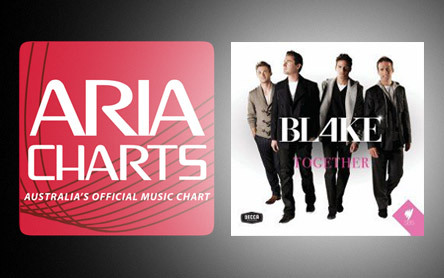 1 on the Australian Classical Chart with their release of “TOGETHER”. They will be in Australia on a promotional tour in June …details to follow. In the meantime have a look at this Aussie TV advert. Join BLAKE on the last of their UK tv appearances for 2009, live on the Sky Sunrise show with popular host Eamonn Holmes. During a long interview Eamonn talks about the groups steady rise to fame around the world, Twitter, changing singers and the fun of touring. With more interviews and TV performances set for early 2010, keep checking here for the latest updates. Have a happy holiday and new year! Appearing on ITV’s This Morning, the UK’s favourite morning show, singing their Christmas single ‘When A Child Is Born’ live for over 4 million viewers. The single was chosen by BBC radio as part of the Christmas UK local playlist, giving you the chance to hear it on radio stations all around the UK. Watch the YouTube version below, we hope it brings some Christmas joy! A trip down memory lane on Youtube uncovers theses priceless moments. The first, Blake being announced as the winners of the 2008 Classical Brit “Album of the Year” award. Second, singing at the opening of Wimbledon! The third, the very first video introducing the world to Blake in 2007. To everyone who has supported us over the years, we truly appreciate it! Thank you and may your 2010 be as good as our 2007, 2008 and 2009! Mayfair Fashion Magazine recently featured Blake in a 10 page photo spread which is on news stands now! The boys were all dressed head to toe in Ralph Lauren Black Label, the premier collection from this top US fashion house. The photos were taken at Blake’s hotel in London, a top hangout for international celebrities avoiding the cameras of the British paparazzi. Over the course of 8 hours shooting with top fashion photographer, David Wise, over 300 unique photos were taken. Styling and location choice was designed to show off Blake’s more traditional British roots, with a modern twist provided by Ralph Lauren. The magazine released this month is a quarterly high fashion edition, available until late February in the UK. Thank you to the massive team behind this shoot and to Mayfair Fashion for choosing Blake as the stars of this exclusive 10 page spread. A behind-the-scenes video of this shoot is available in our video section.